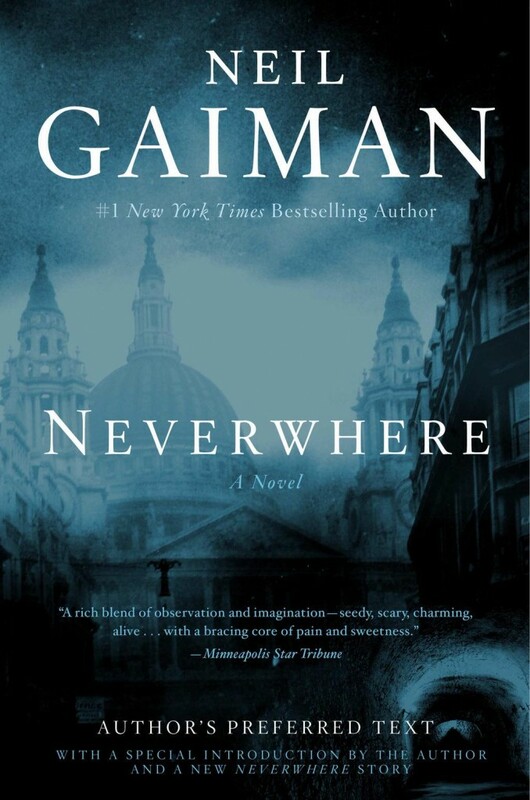 Neil Gaiman has confirmed that he is working on a sequel or successor to his 1997 novel Neverwhere (itself an adaptation of the 1996 BBC mini-series). In an interview with the UK's Channel 4 News, he says he was sparked off by the idea of including refugees in the world he created. Gaiman spent some time last year in a refugee camp in Jordan. “I’m working on a new novel. For the first time in twenty years I’m going to go back to my novel Neverwhere. For me it’s taking not only the dispossessed, not only the homeless, not only those who fall through the cracks, but also the refugees. Also, people who are fleeing war, fleeing intolerable situations, barely getting out with their lives and then what happens to them next." Neverwhere started off as a BBC TV series, developed with comedian Lenny Henry, before transitioning to a novel the following year. In 2013 it was adapted for the radio, starring James McAvoy, Natalie Dormer, Benedict Cumberbatch, Sophie Okenedo, Sir Christopher Le and Anthony Head, In 2014 Gaiman wrote a long-promised spin-off novella, How the Marquis Got His Coat Back, for George R.R. Martin and Gardener Dozois's anthology Rogues. This in turn was adapted for radio last year. The new novel will be called The Seven Sisters. No date has been set for publication. Neverwhere was hugely influential on the development of modern urban fantasy. China Mieville cites the novel as a major inspiration for his novels King Rat and Un Lun Dun. Gaiman was speaking ahead of the launch of his new TV series, American Gods, which will air in the USA on Starz in April. Gaiman is also writing the script for a TV adaptation of his collaborative novel with Sir Terry Pratchett, Good Omens. After almost twenty-five years in development hell, this has finally been greenlit for production by the BBC and Amazon. Thank you for reading The Wertzone. To help me provide better content, please consider contributing to my Patreon page and other funding methods, which will also get you exclusive content weeks before it goes live on my blogs.